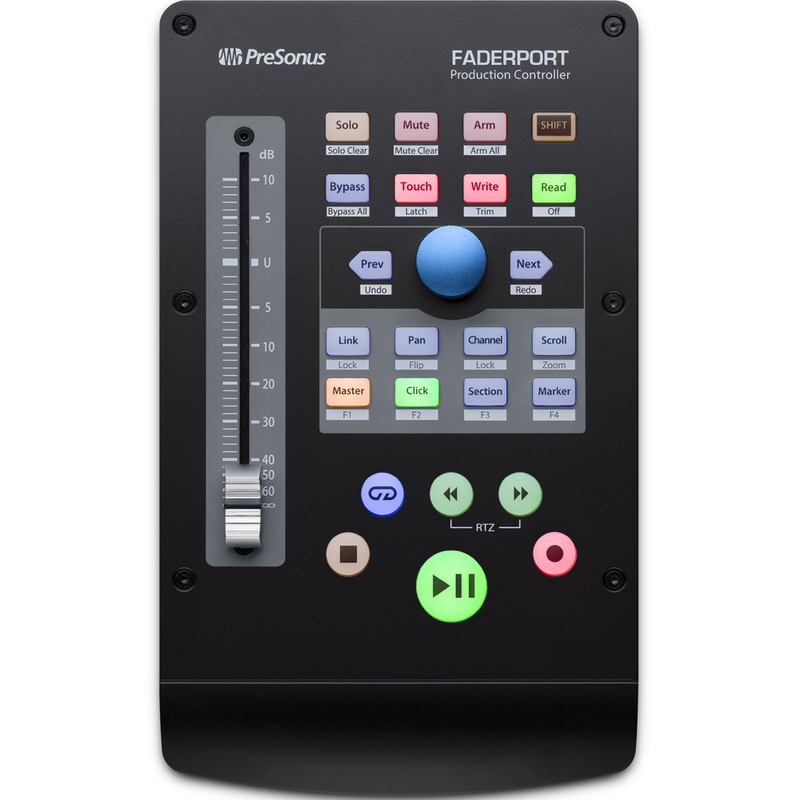 Touch-sensitive, motorized, 100 mm fader for writing fades and automation in real-time; controls DAW recording transport, solo, window selection, and much more; innovative Session Navigator makes mixing and controlling your favorite DAW application quick and easy; support for HUI and Mackie Control emulation; native control of Studio One®, including Control Link support and parameter follow, allowing quick hardware access to most controls; optimized control of Logic Pro X, Cubase, Ableton Live, and Pro Tools; connects via USB 2; Studio One Artist included. 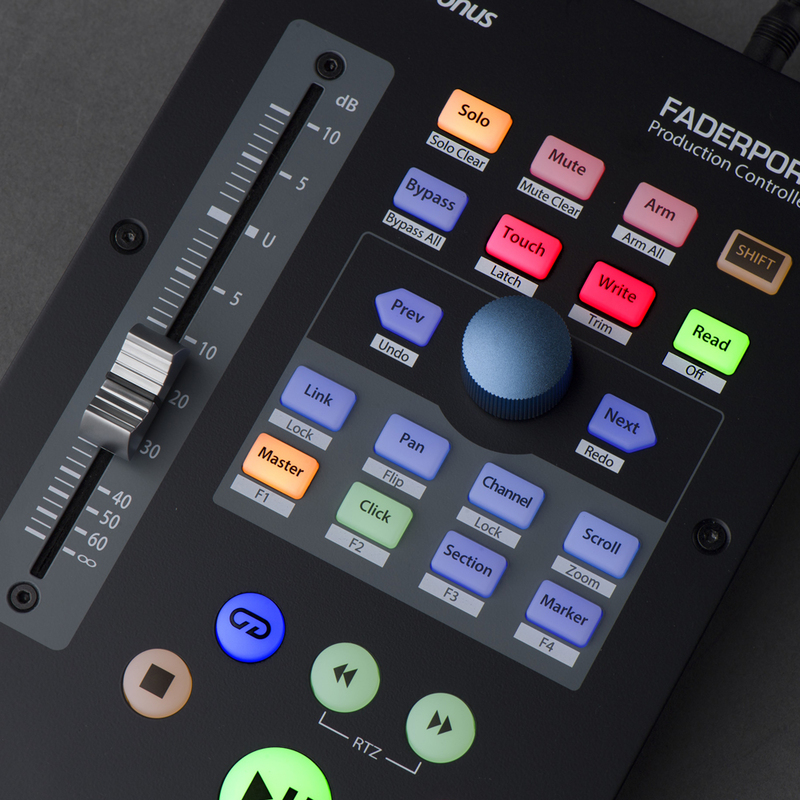 The latest generation of PreSonus®’ classic USB control surface, the FaderPort™ enables you to record and mix with a smooth, touch-sensitive, motorized, 100 mm fader; transport controls; and many of the new workflows introduced in the FaderPort 8 and 16. 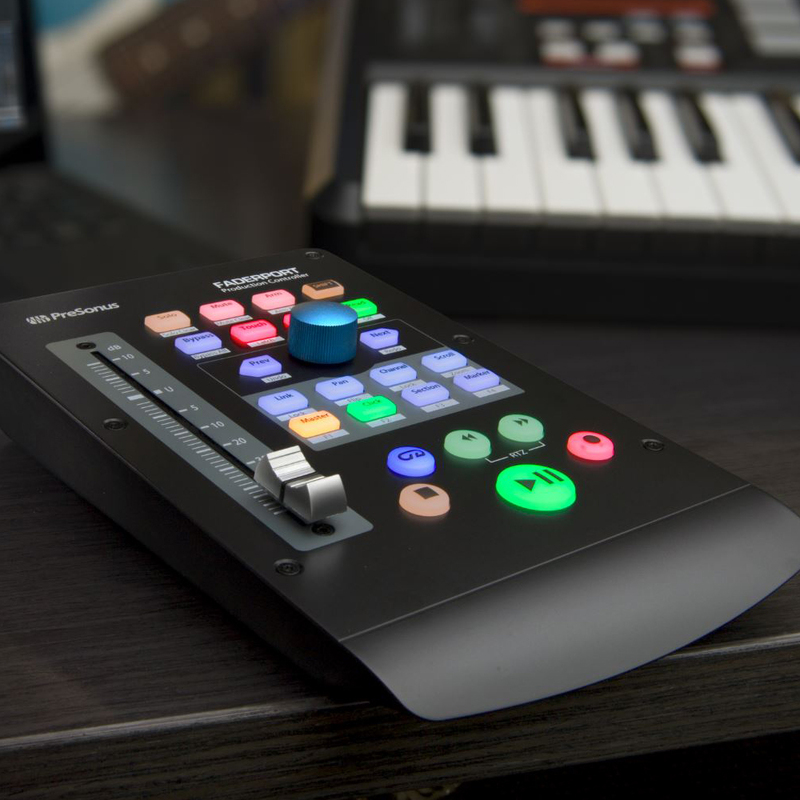 Manage markers, punch in and out with a footswitch (not included), arm tracks, and employ the innovative Session Navigator to control your favorite DAW application quickly and easily. 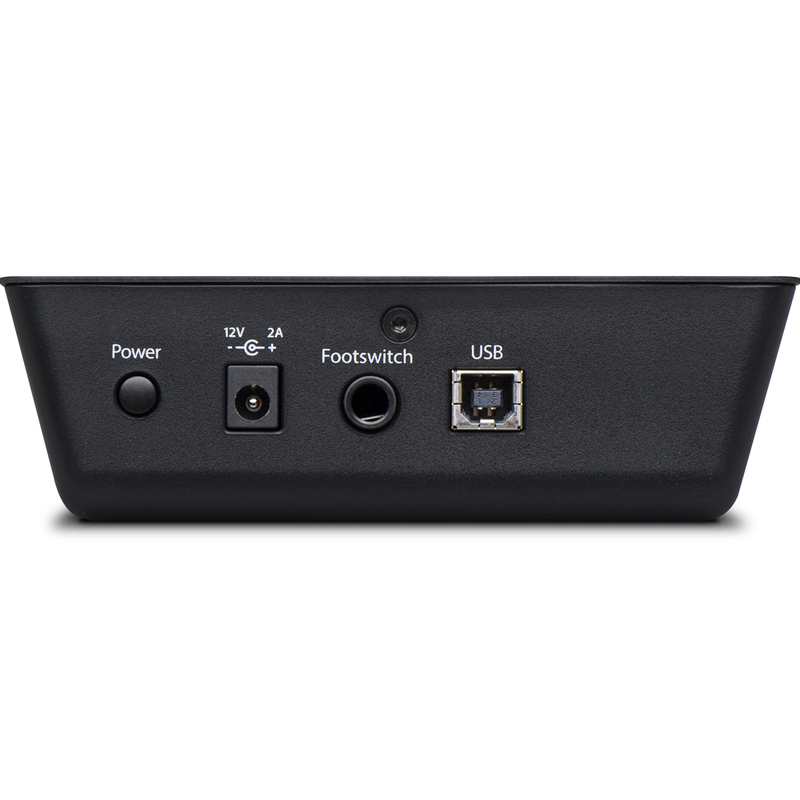 The FaderPort connects via USB 2.0 and offers native control of PreSonus Studio One® DAW (Studio One Artist is included), including Control Link support and parameter follow, allowing quick hardware access to any control.